Islamic Council of Victoria v. Catch the Fire Ministries, Inc.. The Becket Fund for Religious Liberty (n.d.). Retrieved from https://www.becketlaw.org/case/islamic-council-victoria-v-catch-fire-ministries-inc/. Islamic Council of Victoria v. Catch the Fire Ministries, Inc.. (Apr. 04, 2019). https://www.becketlaw.org/case/islamic-council-victoria-v-catch-fire-ministries-inc/. "Islamic Council of Victoria v. Catch the Fire Ministries, Inc.." The Becket Fund for Religious Liberty. Accessed [Apr. 04, 2019]. https://www.becketlaw.org/case/islamic-council-victoria-v-catch-fire-ministries-inc/. In some parts of the world, leading a peaceful religious discussion may come at a frighteningly high cost. Pastors Daniel Scot and Danny Nalliah learned that Australia was one of those parts of the world after facing the threat of jail time for their involvement in seminars and publications about Islam from a Christian perspective. And what exactly was their crime? The pastors had explained their interpretation of the basic tenets of Islam, how Christians could dialogue with Muslims, and particularly taught that while they did not agree with or believe to be true the teachings of Islam, Christians are called to love, and not hate, Muslims. Yet they were convicted of doing just the opposite: a court concluded that they were “inciting hatred” with their “unreasonable” and “unbalanced” teachings. The ensuing ordeal was the result of a bill that had good intentions but disastrous effects. In 2001 the Australian province of Victoria passed the Racial and Religious Tolerance Act (“Act”), which prohibits conduct that incites hatred, serious contempt, revulsion or severe ridicule of a person or group of people based on religious belief. However, instead of protecting religion and public harmony, the Act as applied has created social division and the censorship of sincerely held religious beliefs by force of law. Neighbor spies upon neighbor looking for offense in one another’s speech. 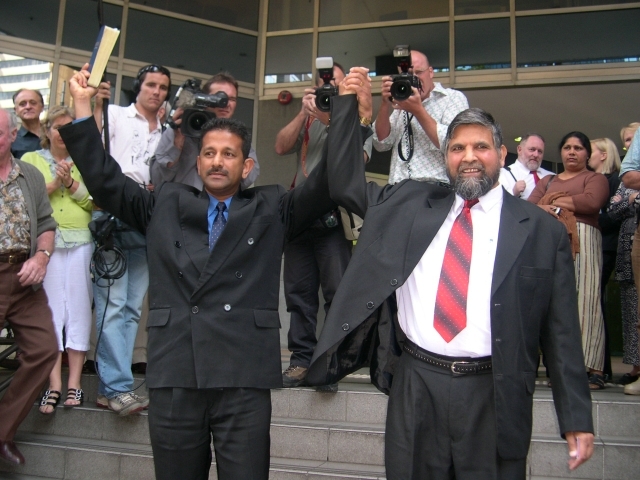 On December 17, 2004, the Victorian Civil and Administrative Tribunal determined that Pastors Scot and Nalliah violated the Act. The Tribunal not only found the pastors in breach of the Act but also ordered the pastors publicly to apologize for their sincerely-held beliefs and promise never to repeat those beliefs. These actions were in direct violation of international law. Australia is obliged by international conventions to protect rights of conscience, freedom of expression, and equal protection under the law as Australia has ratified the Universal Declaration of Human Rights (UDHR) and its enforcement mechanism, the International Covenant on Civil and Political Rights (ICCPR). The free speech, belief, and religious exercise provisions of Articles 18, 19, and 26 in the ICCPR protect the right freely to preach about and analyze religious truth-claims of competing religions. Contrary to these laws, the Act empowers the secular government to censor religious expression based on its own determination of the correctness of a believer’s religious views. In other words, the Victorian courts have become sermon review boards; serving as the arbiters of orthodoxy by determining the boundaries of “valid” religious belief for each faith community. From April to August 2005, the Becket Fund, joined by a diverse coalition of organizations, exchanged letters with the Attorney General of Australia, urging the government to intervene before the Tribunal issued penalties that would jeopardize Australia’s laudable human rights record and commitment to international law. On August 14, Australian attorneys, with the assistance of The Becket Fund on international law arguments, submitted appeals papers to the Supreme Court of Victoria at Melbourne. The Court upheld the appeal and ruled in favor of Daniel Scot and Danny Nalliah, vacating the original ruling and ordering the trial to be heard again in front of a different judge. Pastors Scot and Nalliah no longer face the threat of jail, and are free to preach as they see fit–without apologizing.